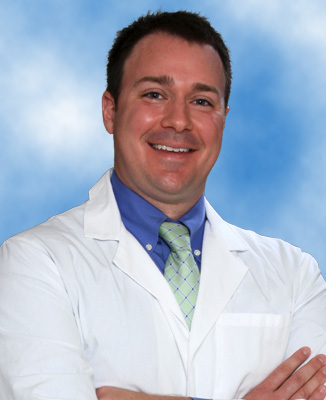 Jonathan Stanley, DO originally from Summersville, WV, received his undergraduate education at Concord University in Athens, WV and his medical doctorate in Osteopathic Medicine from the West Virginia School of Osteopathic Medicine in Lewisburg, where he remains an active alumnus. Dr. Stanley completed his internal medicine residency and fellowship in infectious disease at West Virginia University School of Medicine in Morgantown. He is well trained in the diagnosis and treatment of various viral, parasitic, fungal, and bacterial infections. •	Inpatient and outpatient evaluation of a variety of infectious diseases including skin soft infections, bone and joint infections, fever of unknown origin, MRSA, and endocarditis. •	Outpatient management of HIV and Hepatitis B and C.
Dr. Stanley is a member of the American College of Osteopathic Physicians, American College of Physicians, American Medical Association, American Osteopathic Association, and Infectious Diseases Society of America. He is board certified in Internal Medicine and board eligible in Infectious Diseases. To make an appointment with Dr. Stanley, call (681) 342-3870.